GET YOUR TICKETS TO THE 2019 MORGANTOWN CUPCAKE & CRAFT BEER FEST HERE!!! Stop by our store in Downtown Morgantown to try one of our 10-12 daily cupcake selections! We always have our top sellers: Red Carpet Red Velvet, P’Nutty for Chocolate, Very Vanilla, Loco Cocoa, A Hard Day’s Night, and A Hard Night’s Day. The other 4-6 flavors available each day are baker’s choice. Feel free to call and see what we have at the store today! To place an order for any of our specialty flavors listed keep in mind, orders are accepted in a minimum of a half dozen per flavor ordered for regular and jumbo size cupcakes a minimum of a dozen per flavor ordered for mini cupcakes. 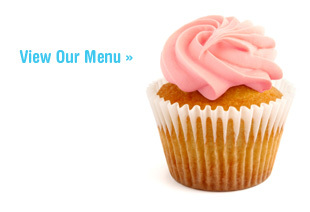 The Cupcakerie delivers to all locations in the Morgantown area for a $10 delivery fee.